No sugar in your coffee. Only one potato at dinner. If you’ve got blood sugar problems then you’ve heard those instructions over and over. The focus is always on what you should remove from your diet, and it’s incredibly frustrating. What about what you can eat? 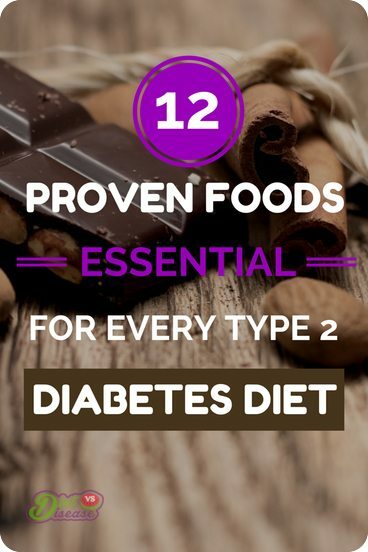 What about the foods you should be adding to a diet for type 2 diabetes… the foods that can actually improve blood sugar control? Research shows there are many natural foods that can help. Either by reducing sugar absorption into the bloodstream, or by improving insulin resistance. It’s certainly worth your while to learn what those foods are, rather than just what to avoid. I’ve done some of the research here and strongly recommend you start with the following. Tree nuts – not peanuts, which grow in the ground – are linked with many metabolic health benefits. 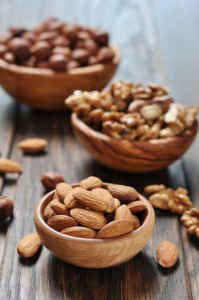 But almonds really standout when it comes to managing blood sugar. They are very low in carbohydrates, but that’s not why. Magnesium is an essential mineral involved in over 300 bodily processes, including blood pressure regulation and blood sugar control (1, 2). Alongside spinach, almonds and cashews are among the best sources of magnesium in the human diet. Several handfuls provides over 20% of the daily recommended intake (2). While the mechanism is unclear, having low magnesium levels is strongly associated with both type 1 and type 2 diabetes. It appears to impact on insulin secretion, which may be the reason that 25-38% of type 2 diabetics have low magnesium (4). Clinical trials have shown that restoring low magnesium significantly improves insulin response and reduces blood sugar levels (4, 5). Especially if you’re magnesium deficient and insulin resistant. Interestingly, those with normal magnesium levels but poor blood sugar levels still see improvements with magnesium supplementation (6, 7, 8). However, there’s no benefits for those with a healthy glucose metabolism (9, 10). There are many signs of magnesium deficiency to look out for, but you can only be sure with a blood test. Summary: If you have low magnesium levels, replacing these with nuts such as almonds may greatly improve your blood sugar control. Definitely test your magnesium levels if you haven’t done so already. Sound too good to be true? It’s not, but it’s close. Chocolate ‘technically being a plant’ has some science behind it. The cocoa in chocolate originates from the cocoa plant. The active ingredients are the flavanols which remain in cocoa powder after it’s extracted from the plant. Current human studies suggest that cocoa helps to improve insulin sensitivity, particularly for those who already have decreased insulin sensitivity and high blood pressure (such as type 2 diabetics) (11, 12, 13, 14). By improving insulin sensitivity, your body becomes more efficient at moving sugar out of the blood and into cells to be used as energy. A study on 15 healthy adults given either 100 grams per day of dark chocolate (500 mg total flavanols) or an equal amount of white chocolate, found that insulin sensitivity was doubled in the dark chocolate group. That was after only a 15-day period (15). So dark chocolate can have health benefits, but there is a catch. Your chocolate must be really dark chocolate, typically shown on the package as 85% cocoa or more. Fortunately for me I’ve grown to really enjoy this variety, and much prefer it to the taste of milk chocolate. All the studies that found benefits used either dark chocolate or a cocoa extract equivalent to around 500-1000 mg of flavanols per day. This equals about 25-40 grams of 85% dark chocolate. According to Calorieking, 20 grams of 70-85% dark chocolate has 120 calories (500 kilojoules) and 9.2 grams of carbohydrate, of which 4.8 grams are sugar. The lower the percentage of cocoa, the higher the calories and sugar. 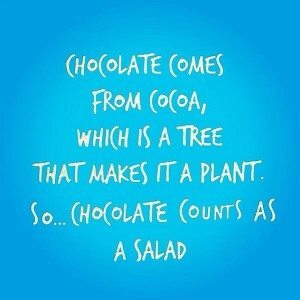 Therefore, in order to reach the desired flavanol intake, it’s pointless to eat any varieties less than 85% cocoa. Otherwise the health benefits are cancelled out by the increased amount of added sugar. Recipe Ideas: Using 85% dark chocolate, try making your own Rose Petal Dark Chocolate, or some Dark Chocolate Coconut Truffles. Summary: If you regularly eat chocolate, it’s strongly recommended to swap to 85% dark chocolate, no less. There’s a good chance it could improve your insulin sensitivity. Large observational studies have found those who drink more coffee appear to have a lower type 2 diabetes risk, ranging from 11% up to 40% (16, 17). One review paper looked at 18 previous studies on the topic, with a total of 457,922 participants, and found that each additional daily cup of coffee lowered diabetes risk by 7% (18). The exact reason for these links isn’t known, but it could be because of coffee’s polyphenols. These compounds have anti-oxidant properties and are widely believed to help prevent inflammatory illnesses such as obesity and type 2 diabetes (19). It could also be because coffee contains many minerals, such as magnesium (mentioned above), which are linked with improved insulin sensitivity. Whatever the case, it’s reasonable to assume that drinking coffee may also be beneficial to those already with type 2 diabetes or pre-diabetes. 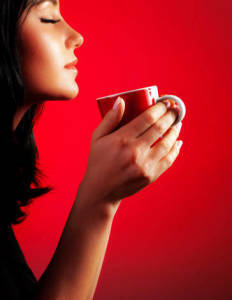 Summary: For some reason not yet known, coffee appears to considerably reduce diabetes risk. It could be due to a combination of beneficial compounds including polyphenols and minerals. Following on from coffee, green coffee is worth consideration too. They sound the same, but they are in fact very different. 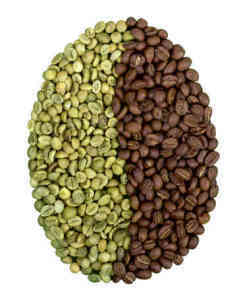 Green coffee refers to unroasted coffee beans. Unroasted coffee beans contain a large amount of chlorogenic acid, the active ingredient linked to most of the health benefits (20). A supplement containing chlorogenic acid, known as green coffee bean extract, has shown promise in research looking at blood sugar control. Several studies suggest it restricts glucose absorption into the bloodstream, which in turn lowers blood sugar levels and insulin spikes (21, 22, 23). Green coffee, and indeed the chlorogenic acid within, could very well play a protective role as part of a diet for type 2 diabetes. Summary: The active ingredient in green coffee beans, chlorogenic acid, seems to significantly restrict absorption of sugar into the bloodstream. If you already drink coffee, try switching to green coffee and see how it works for you. Coffee is great. Green coffee is even better. But green tea is the best. It is loaded with many powerful compounds and antioxidants making its nutritional value second to none (25). The main active ingredients in green tea are its polyphenols, which are thought to benefit almost every organ system in the body including glucose metabolism (26, 27). According to a review of 7 studies with a total of 286,701 individuals, green tea drinkers had an 18% lower risk of becoming diabetic (18). One Japanese study found that decreased risk blew out to 42% for the true green tea enthusiasts (28). Normally I wouldn’t draw conclusions from observational studies (which cannot prove cause and effect), but it’s clear across many aspects of health that green tea is beneficial. 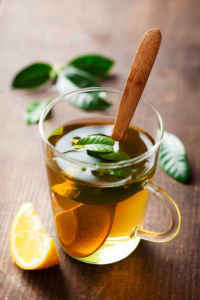 If you are already a tea drinker, then it’s time to switch to green. If you aren’t, then it’s time to start. Seems to be a small change that could make a big difference to your metabolic health. Summary: According to observational studies, regular green tea drinkers are 18-42% less likely to become diabetic. Vinegar is somewhat of an ancient folk remedy, used for a variety of health problems in the past. 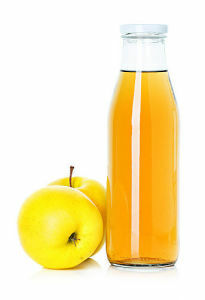 The most popular among the natural health community is apple cider vinegar, which is often utilised for much more than its health properties. Research has shown vinegar to play an influential role in reducing glucose uptake into the bloodstream, sometimes by as much as 34% (29). It seems to have quite an immediate impact, improving insulin sensitivity during a high-carb meal by 19-34%, and minimising any spikes in blood glucose and insulin (30, 31). In fact there are loads of studies in both animals and humans that show vinegar significantly improves glucose metabolism (32, 33, 34, 35, 36, 37) in one way or another. Summary: There is a lot of evidence that vinegar consumption can greatly improve glucose metabolism. I’m a bit sceptical its impact would be as great as reported in some studies, but considering it’s low in sugar and calories, it may be worth a try. Most carbohydrates in the diet are starches. Starches are long chains of glucose found in grains, oats, potatoes, bananas and various other foods. But not all of the starch we eat gets digested. Certain varieties pass through digestion unchanged; they do not get absorbed as sugar in the blood. Hence, the term resistant starch. Many studies in humans have shown resistant starches are beneficial to digestion and health (38). This is why, gluten aside, whole-grains and seeds are often linked with health benefits. Looking at diabetes specifically, its benefits on glucose and insulin metabolism are very impressive. Several studies show resistant starch can improve insulin sensitivity, in other words, how well the body’s cells respond to insulin (39). This may be why it’s so effective at lowering blood sugar levels after meals (40, 41, 42). In fact, the effect is so great that having resistant starch with lunch will lower your blood sugar spikes at dinner too, known as the “second meal effect” (43). Some studies have found a 33-50% improvement in insulin sensitivity after 4 weeks of consuming 15-30 grams per day. That is equal to what you would see if you lost around 10% bodyweight (44, 45). 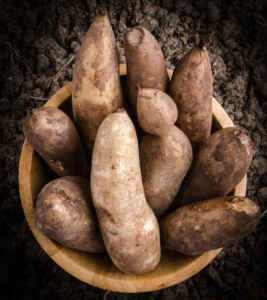 Be mindful that many foods high in resistant starch are also high in digestible carbs and will affect your blood sugar. Fortunately, resistant starch is also available in supplement form without the extra carbs. Summary: There is a lot of science supporting the anti-diabetic effect of resistant starches. They seem like a fantastic option if you’re struggling to control your sugars or have hit a plateau. Supplements are available and sure to increase in popularity. Yacon syrup is extracted from the root of the South American Yacon plant. It’s worth mentioning because the popularity has really ballooned in the natural health community. Thank Dr Oz’s weight loss special for that one. Often called the “diet potato”, yacon looks like a sweet potato and has been used for medicinal purposes for centuries (46). While the long-term weight loss effects of yacon syrup are questionable, it just might be helpful for diabetics. Following on from resistant starch above, about 50% of yacon syrup is made up of fructooligosaccharides (FOS), a form of resistant starch linked to the health benefits. Because these starches don’ get digested, they don’t raise blood sugar. The FOS in yacon syrup also helps to “feed” the gut with healthy bacteria. A healthy gut “environment” is linked to a lower risk of diabetes, better immunity, improved brain function and more (47, 48, 49, 50, 51). There have also been several rodent studies showing yacon supplementation may be beneficial to glucose metabolism (52, 53, 54). And in a 4-month trial of 35 obese women with high cholesterol, those receiving two doses of yacon syrup per day improved fasting insulin levels by 42% and reduced insulin resistance (a major risk factor for type 2 diabetes and heart disease) by 67% (55). The results are very impressive… perhaps too impressive. It’s the only human study available so I’m not getting too carried away. Summary: The evidence available on Yacon syrup is impressive, however there’s not much of it. It could be worth a try if you’re really struggling with blood sugar management. Fenugreek is a popular herb in Indian and Arabic regions. It was traditionally used for medicinal purposes, particularly to enhance masculinity and libido. 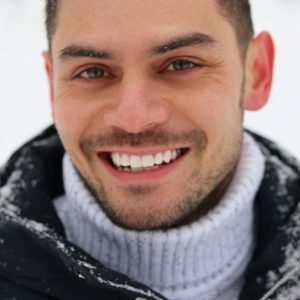 Fortunately this article is focused on maintaining healthy blood sugar levels. Based on a whole host of animal and human trials, it appears to be beneficial by either restricting absorption of sugar into the bloodstream, or by increasing insulin sensitivity (57, 58, 59, 60, 61, 62). A study on 25 newly diagnosed type 2 diabetics found supplementing with 1 gram of fenugreek extract daily increased insulin sensitivity by 53% compared with the control group. 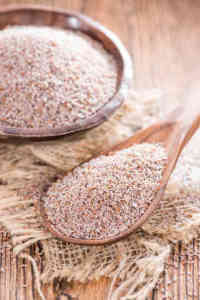 Eating the seeds whole or as a flour have so far shown to be the most effective way to improve blood sugar control. But fenugreek should definitely be avoided if pregnant. Recipe Ideas: Try Mushroom Masala and Fenugreek, but note fenugreek leaves are used rather than seeds, which are less potent. Summary: Fenugreek appears to greatly improve blood glucose control and overall diabetes management. 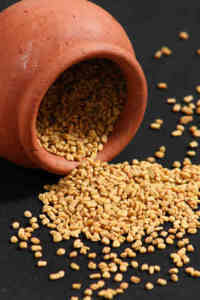 2-5 grams of fenugreek seeds can be very helpful for diabetics and should certainly be at the top of your list. Cinnamon has been used in both sweet and savory dishes throughout history. 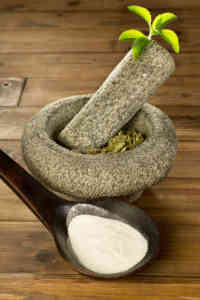 Its use was documented as far back as Ancient Egypt and China, with its medicinal properties widely celebrated (64). These days, several human trials have found promising results for the anti-diabetic effects of cinnamon intake (65, 66, 67). 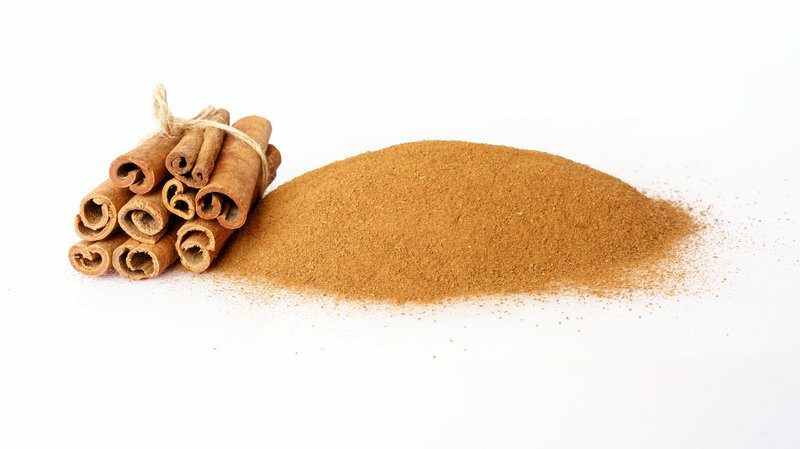 It appears that certain compounds in cinnamon interfere with digestive enzymes. This slows the digestion process, which also slows glucose absorption (68, 69). As a result, less sugar enters the bloodstream after meals, minimising sugar spikes. Looking at effects on insulin, one laboratory study found cinnamon improves the effectiveness of insulin by more than 20-fold (70). It’s no surprise then that clinical studies show a daily dose of cinnamon extract greatly improves insulin sensitivity in those with type 2 diabetes, insulin resistance, or polycystic ovary syndrome (71, 72). Interestingly, one compound in cinnamon called methylhydroxychalcone polymer (MHCP) mimics insulin by transphosphorlyating the insulin receptor on fat cell membranes (73, 74). This copy-cat mechanism to create more “insulin” appears to improve glucose absorption, albeit 3 to 6 times slower than insulin itself. The typical dose required for cinnamon to have these anti-diabetic effects is 1-6 grams (0.25-1.5 teaspoons) daily, best taken with carbohydrate-containing meals. Recipe Ideas: Cinnamon Roll Protein Oatmeal contains 1 teaspoon per serving, while Flaxseed Cinnamon Bun Muffins contain almost 1 teaspoon each. Summary: Cinnamon appears to interfere with digestive enzymes, slowing the absorption of sugar into the bloodstream. It has also been shown to increase insulin effectiveness 20-fold, and even contains a compound that can mimic the function of insulin. With refined sugar now recognised as harmful, sweetener alternatives have become incredibly common; stevia being one of the more popular choices. But what sets stevia apart is that it’s a natural sweetener and does not appear to be harmful like many artificial sweeteners on the market. In fact, you can make it yourself at home. The stevia plant itself originates from South America and has been used as a sweetener for centuries (albeit not as a refined powder). The two active ingredients that make Stevia sweet are called Stevioside and Rebaudioside A. These two compounds are hundreds of times sweeter than sugar. Stevia shows a lot of promise for diabetics directly after meals, particularly with insulin, the hormone that moves blood sugar into cells (75, 76). In a human study looking at meal responses, type 2 diabetics took either 1 gram of stevioside with a meal, or 1 gram of maize starch. After the meal, the group taking stevioside had a reduction in blood sugar by about 18% (77). Another study compared sucrose (regular sugar), aspartame (sweetener) and stevia. Stevia was found to lower both blood sugar and insulin levels after a meal, compared to sucrose and aspartame (78). Whether it is a good cooking alternative for sugar, however, divides opinion. Summary: If your blood sugars are too high, stevia should be your first choice as a sugar alternative. In many countries you can actually buy the stevia plant and grow it yourself. Lastly, if you’re not one for sweeteners, raw honey is an option. Honey is a bit hit and miss, but I think it warrants consideration as part of a diet for type 2 diabetes. A study on patients who were either healthy, diabetic, or had high cholesterol found that honey raised blood sugar less than dextrose (glucose) and sucrose (glucose and fructose). So it did raise sugar, but not as high (79). While not overly impressive, that same study also found honey reduced CRP (a marker of inflammation), lowered LDL cholesterol and triglycerides, raised HDL cholesterol, and lowered homocysteine (another marker of disease). Considering that diabetics tend to have issues with all of those health markers, honey doesn’t seem so bad compared to added sugar. In another clinical trial of 48 diabetics, participants were split into either the honey feeding group or the control group who received no additional sugar. 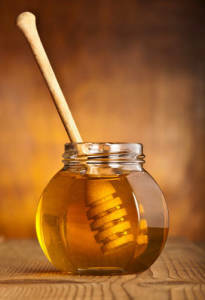 Those fed honey for 8 weeks had reduced total cholesterol, lower body weight, and increased HDL cholesterol compared with the control group (80). However, the honey group ended up with much higher HbA1c (a marker of average blood sugar levels over 3-months) compared with control. Hence why I recommend honey may be a good alternative to sugar, rather than added to the diet for benefits. In other words, honey replacing sugar may help, but not as an extra in your diet. Summary: Honey is healthier than added sugar, but worse than not adding any sugar at all. It’s worth consideration for those looking to replace added sugars with something other than sweeteners. Type 2 diabetes has increased 10-fold in just a few decades and shows no signs of slowing. It’s fair to say then that for most, the “conventional” approach to managing sugar doesn’t work well enough. If that’s you, some of these foods may be worth adding to your grocery list. It only makes sense that a diet-specific health condition is best treated with the diet.